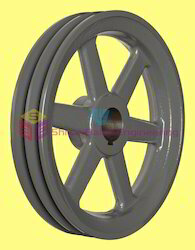 We offer a wide range of Stone Crusher Fly Wheel, which manufactured using the premium quality material. Sturdy in construction, flywheels are dynamically balanced and ultra sound tested to assure these are free from any cracks. These are appreciated for durability and excellent finish, these find wide application in industries. between torque and Angular acceleration. 3. 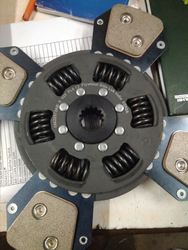 To study the energy transformations and to demonstrate that a flywheel can be used to Store. We offere a wide range of Heavy Earth Moving Machinery Flywheel Assy for our client. V 110° to 180° flat, V-flat, concave, convex, V-lining, flat lining, etc. We offer superior quality of fly wheels in many variations. Made of premium grade material our flywheel are known for their durability and precision finish. i am wholeseller for fly wheel assemblies for all sizes.